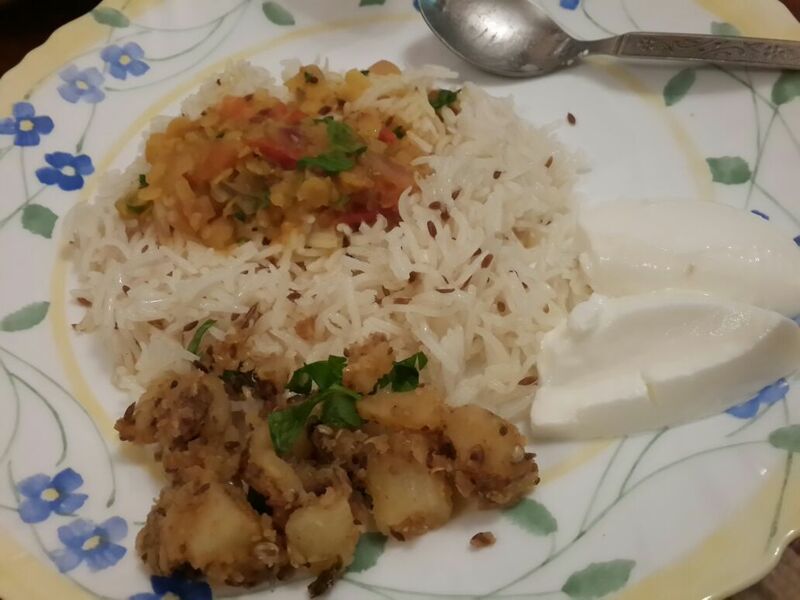 Some days you crave the same old good old classic home cooked recipe! 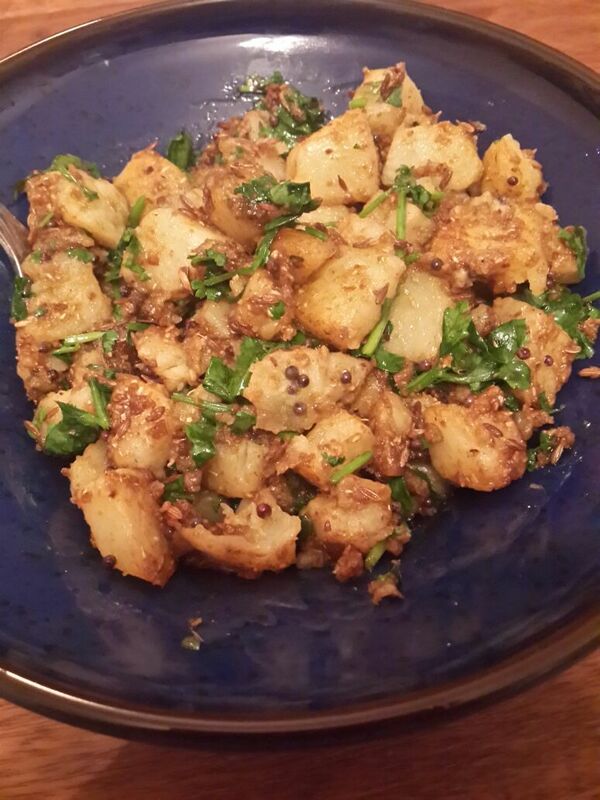 Aloo Jeera or potatoes tempered with cumin seeds and spices are a staple side dish in most Punjabi households. I guess potatoes find their place place in every pantry. I even go through some of my own “can’t-do-without-my-aloo” days. My Punjabi genes dominating, I set one such evening post work to settle for a simple dinner of Dal Tadka tempered with rai and jeera, Jeera Rice and Aloo Jeera. Err! Isn’t this too much of cumin for one evening ? I know I must be high on cumin! I vividly remember this fine evening as I roasted cumin, the entire house smelled divine. I had some lovely Indian classical instrumental music playing in the background, sipping chai along the way, I ground the freshly roasted cumin and couldn’t help but add that on to every thing I set to cook eventually. In a wok, heat some oil. Add green chillies, mustard seeds and cumin seeds to the same and let it sizzle. Now add the ginger followed by potatoes and the dry spices. Cook until the potatoes have softened and have a roasted texture. Add lemon juice and garnish with freshly chopped parsley. Voila! My dinner table looked lovely. Until next time happy cooking. Yum! Looks great and so simple!